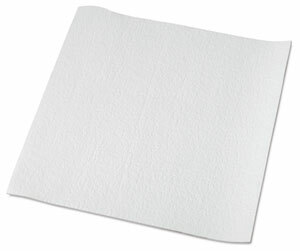 Amaco Fiber Shelf Paper is ideal for use as a smooth separator when fusing glass on a flat shelf in a kiln. This paper is made of a lightweight refractory material processed from extremely pure alumina-silica fibers. Designs can be cut out of thicker fiber paper and used to fuse glass over it, creating relief patterns. 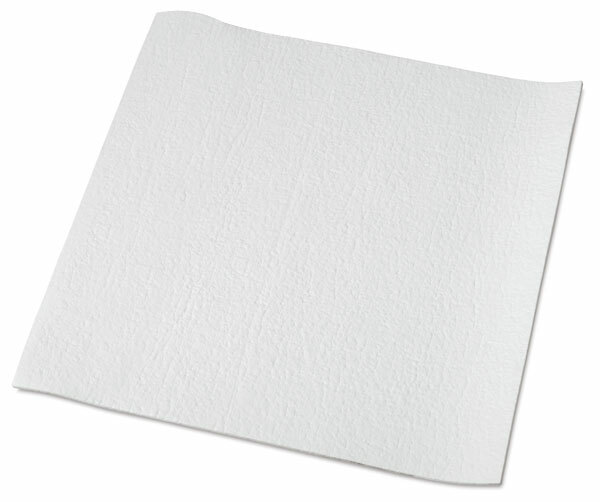 Fiber Shelf Paper withstands temperatures up to 2300°F (1260°C). Kiln venting is necessary when using Amaco Fiber Shelf Paper. It transforms to cristobalite, a form of crystalline silica, at temperatures above 1800°F (982°C). Crystalline silica may cause lung injury, so the use of a respiratory mask is recommended when using this paper. Amaco Fiber Shelf Paper does not contain asbestos.